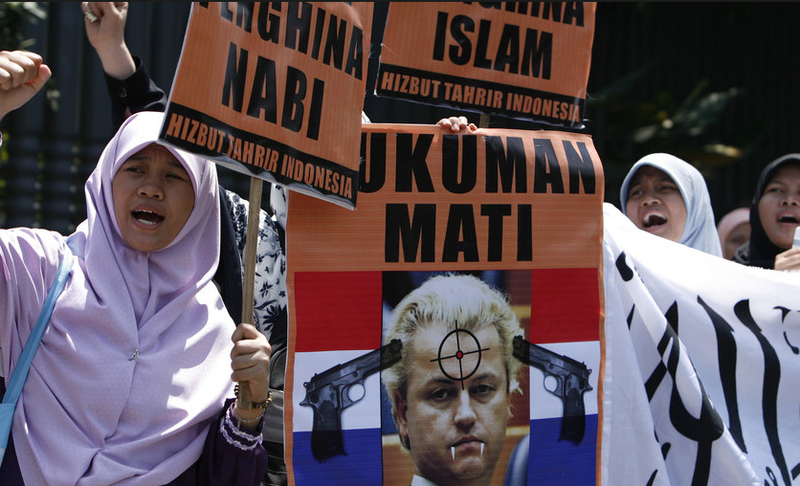 Asian Muslim nations like Pakistan and Indonesia saw widespread marches after Dutch politician Mr. Geert Wilders announced that his party’s parliamentary offices would hold a prophet Muhammad cartoon competition. The Party for Freedom (PVV), which has previously called for the Quran to be banned, said the contest had been approved by the country’s counter-terrorism agency and falls under the Dutch freedom of speech legislation. The winner of the contest will receive a €5,000 ($5,500) prize. The drawings will be judged by American cartoonist Mr. Bosch Fawstin, who himself won a similar competition in Texas three years ago and was targeted by two Muslim gunmen. In the Islamic religion, images of the Prophet Muhammad are considered blasphemous and any cartoons depicting him have previously provoked violent responses. Back in 2016, Mr. Wilders, who has previously called for mosques and Islamic schools in The Netherlands to be shut down and for a blanket ban on Muslim immigrants coming over from Africa, asked in a victory speech after local elections to his supporters whether they wanted “fewer or more Moroccans” in their country.